Emily hosts a weekly show that airs on CBS12 called Food Trippin’- she takes you to the hottest restaurants in Palm Beach County. Emily also hosts a daily segment on CBS12 called Spotlight on Business where she features many of her clients. 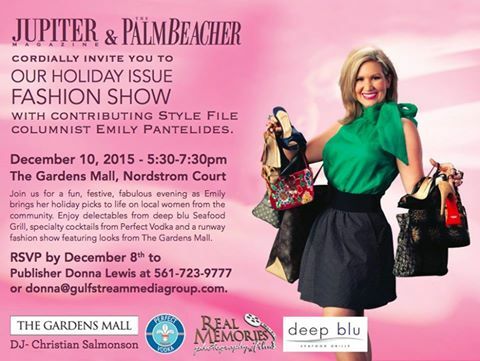 Emily also serves as The Palm Beacher and Jupiter Magazine’s guest style editor.